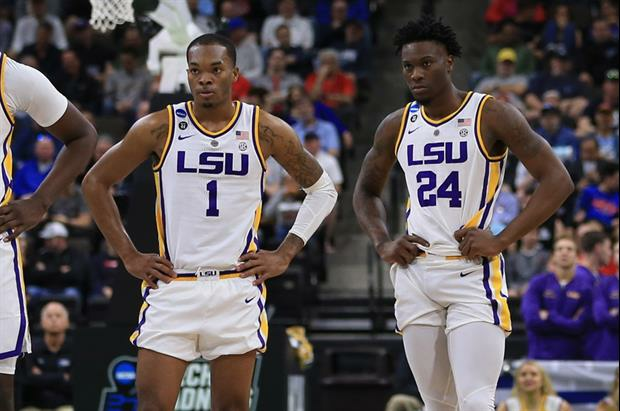 LSU freshmen Javonte Smart and Emmitt Williams along with junior guard Skylar Mays all requested NBA evaluations, according to interim head coach Tony Benford. Benford, who just returned to town after attending the Final Four in Minneapolis, said the coaching staff was hoping to hear back from the advisory committee later Tuesday on Mays, Smart and Williams. “We requested feedback on them; we sent their requests in to the advisory committee,” Benford said. “We haven’t heard anything yet on them, so we’re just waiting for some information. Although Mays has declared for the pros, the new NBA Draft rules allow him to hire an agent but terminate them later if they chose to return to school. I came here expecting some stupid comments and voila. so you schmucks wouldn't want your future employer to tell you what you need to work on to potentially land a job in the future? They would have done this no matter what. Why wouldn’t they?